Since 2001, Global Property has been active in project development and project management. 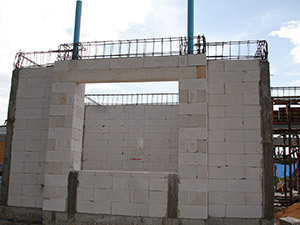 Our projects were designed and constructed especially for the needs of our European customers. Building your own house in Thailand can soon become a headache with unforseen issues arrising, save yourself this hassle and contact Global Property. We offer a comprehensive, personal, quick and reliable service. Apart from buying and selling private and commercial apartments, houses and land, we also take over the project management of your new building and do conversions and renovations of all kind. Talk to us about your plans. There are a number of issues to consider when you are making a choice between suburban or country life. Suburban life provides an opertunity to have all ammenities within a short distance. The Country life offers peace and tranquility. 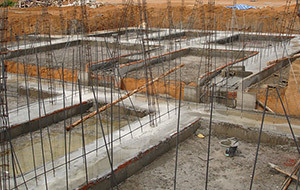 Important are the foundations (at least 40 cm above the ground) and the roof of the building. People not raising their house from the plot level will get wet feet during the rainy season. An overlapping roof protects the walls against rain and sun, the steeper the roof slope, the better. With a roof vent, the hot air can escape. The patio should be roofed and sufficiently large, because you are likely to spend a lot of time there. Whether to build a house in a village or as a standalone project is also a question of safety and comfort (services such as street cleaning, common pool and clubhouse). The implementation of a construction project is a major challenge, especially for foreigners. Problems with the building quality and execution, delays in the completion of the house, or bankruptcy of the construction company are common problems. Avoid such risks with Global Property. We build to international standards and can assist you from the initial design stage through to the completion of your property. Global Property offers professional turnkey construction services. We provide our customers with quality, style and value for money. We are able to present a complete professional package and can assist/advise you with everything including architectural plans, construction, installation, kitchen design, security systems, jacuzzi/sauna, and entertainment systems. We provide consulting, individual planning and construction of your own swimming pool. When planting your garden, you can be sure that it will become a tropical paradise. We later take over the cleaning and maintenance of your swimming pool and the maintenance of your garden. Whatever you want, we have the appropriate solution for you. Energy conservation is an important issue in Thailand: we will advise you with regard to air conditioning systems, heat recovery, roof insulation, PVC window systems and provide you with a computer calculation for your energy savings. Global Property will turn your dreams and aspirations into reality. Our professional team will analyse your objectives and assist you in achieving your goals. If you are looking for a professional team to discuss your construction needs, please contact our HOTLINE 082 469 5551.